The global health landscape is undergoing a profound and rapid set of transitions. These include a shift in the global burden of disease away from infections towards non-communicable diseases, a demographic transition towards aging and a rise in the proportion of adolescents, and a move away from health aid towards domestic health financing. 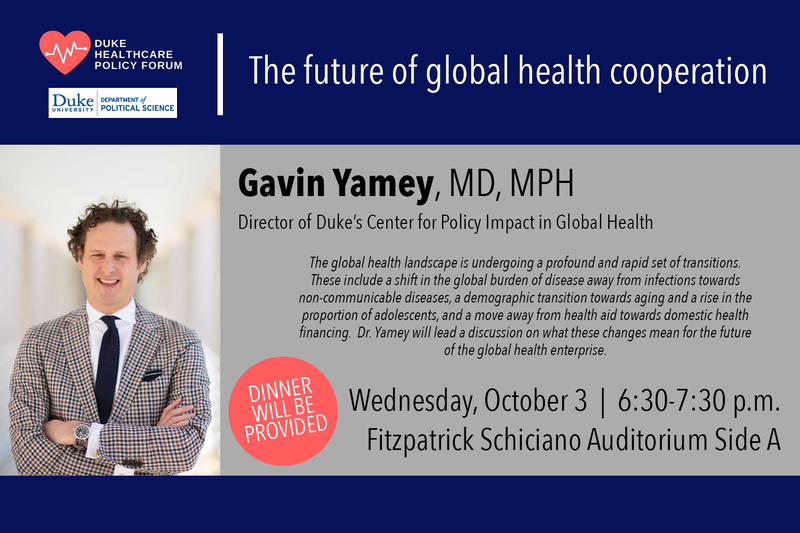 Gavin Yamey MD, MPH, Director of Duke's Center for Policy Impact in Global Health, will lead a discussion on what these changes mean for the future of the global health enterprise. Sponsored by the Department of Political Science. All members of the Duke community and public are invited to attend.